Weather: 14 degree C (day), 2 degree C (Evening), Overcast Raining. 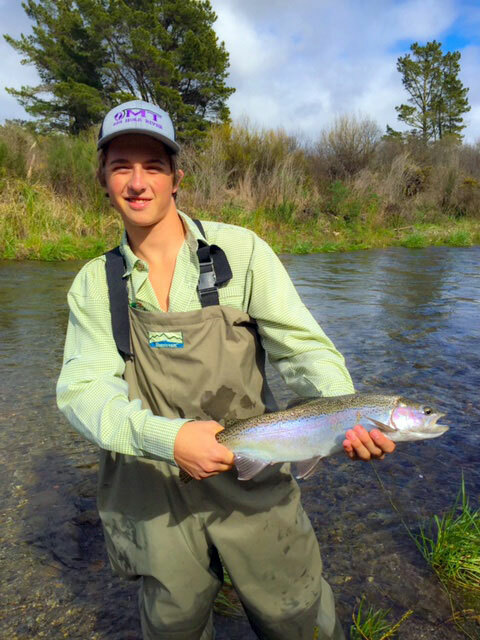 Spring weather here in Turangi certainly is true to form and giving us all seasons at once with lots of light rain over the last week and some nice sunny patches occasionally, all rivers have fished very well with some nice fresh spawning trout in top condition caught by anglers. Heavy rain at present falls here in the Turangi area and you can feel the temperature dropping as i write this as it appears there,s is a southerly front is on the way. We certainly will get another fresh run of Rainbow Trout up all rivers here in Turangi after this front has settled. With all back country rivers open now from October 1st, remember to renew your Fish & Game licence. Lake Taupo has fished very good for some school holiday makers fishing down deep has produced some nice eating trout. Stream mouths around Lake Taupo are fishing well after dark up until midnight. 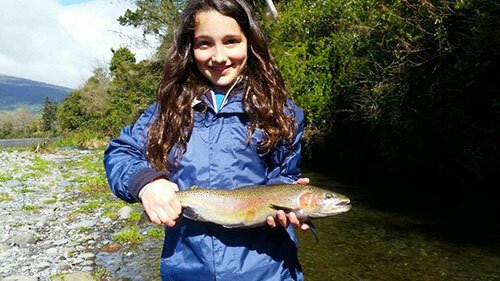 Sarah with her first Tongariro river Rainbow Trout from Turangi caught Fly Fishing. 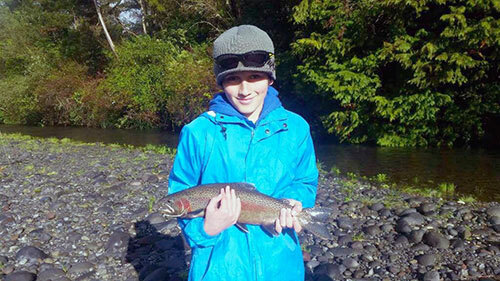 Conner fished the Tongariro river for the first time and managed to land a very nice Rainbow Trout Nymph fishing. 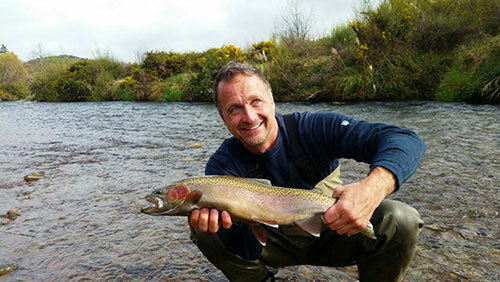 Chester Kwasniewski stayed in Turangi on his Fly Fishing trip to New Zealand on the banks of the Tongariro river at the Creel Lodge while Trout Fishing the Tongairo river area. 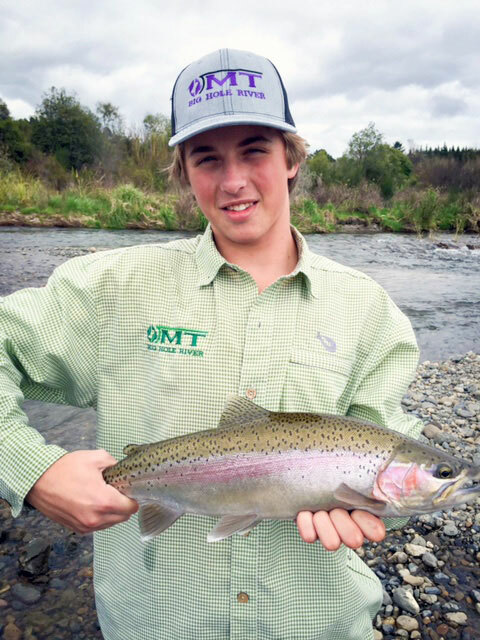 Chester and his son from from Florida fly fishing in Turangi for the first time admire their first New Zealand Rainbow Trout caught in the Lake Taupo area.